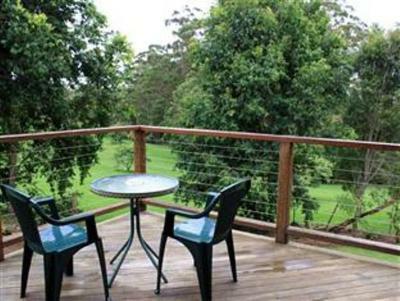 Lock in a great price for Tamborine Gardens – rated 8.5 by recent guests! Quite, staff very friendly. Gardens very nice. Intimate. Only 4 cottages. Lovely setting and facilities for the wedding we attended. It was just magic. The accommodation was great, very spacious room and bathroom. The area is very relaxing and private. I would definitely recommend! House was cute and cosy.. Room and bathroom was big and very comfortable. Location was good for what I needed it for. Excellent service from the staff. Beautiful room & overall cottage and grounds. Lovely romantic getaway, couldn’t have picked a more perfect venue! The bed was comfortable and the sheets were clean. The room was very cosy and well presented. The fire was amazing and perfect for a romantic getaway. A wonderful couples getaway destination. Loved the double bath, wood fireplace and very comfortable room. The gardens surrounding the cottages were truely beautiful and well worth a slow walk around. 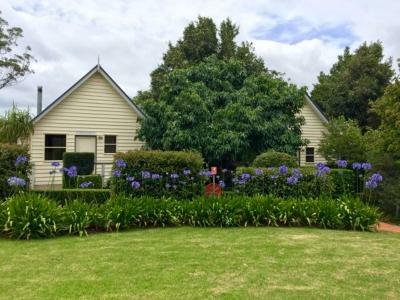 Tamborine Gardens This rating is a reflection of how the property compares to the industry standard when it comes to price, facilities and services available. It's based on a self-evaluation by the property. Use this rating to help choose your stay! 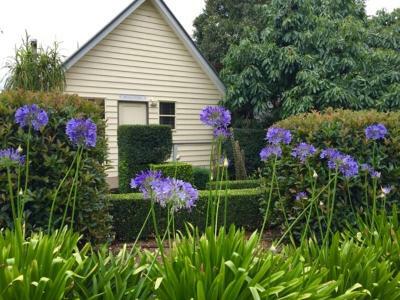 Featuring a two person bathtub and a fireplace, Tamborine Gardens Cottages are just 5 minutes’ drive from Tamborine Mountain Visitor Center. Each cottage has a private patio with views of the gardens and Witches Falls National Park. 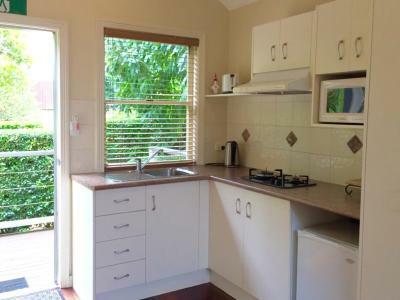 All air-conditioned cottages feature a kitchenette with a microwave, refrigerator and tea and coffee maker. 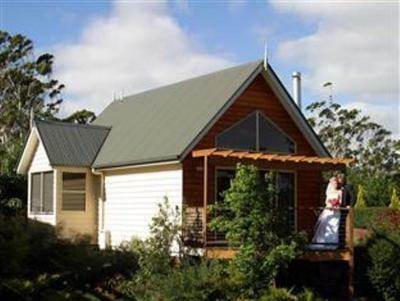 Each cottage has a flat-screen TV, DVD player and CD player. Mount Tamborine Tamborine Gardens is 20 minutes’ drive from Mt Tamborine National Park. 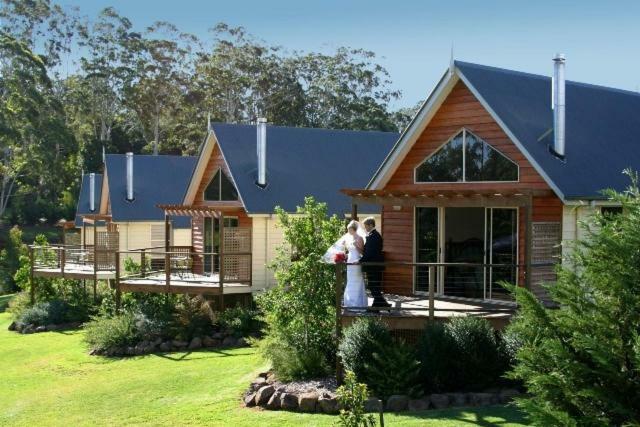 Brisbane, Currumbin Wildlife Sanctuary and Gold Coast Airport are each a 1-hour drive away. Guests can enjoy a walk in the award-winning gardens. Free parking is available on site. 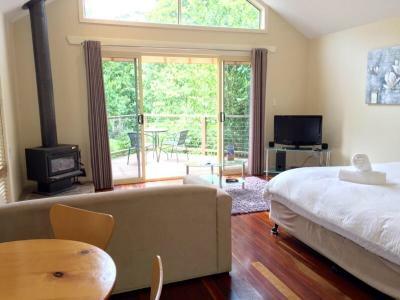 When would you like to stay at Tamborine Gardens? 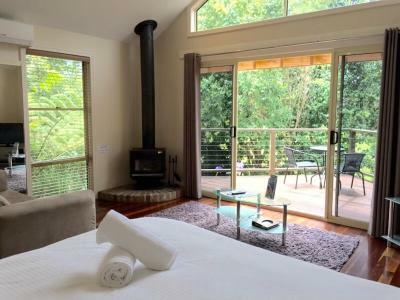 This air-conditioned cottage features a spa bath, a fireplace, a kitchenette and a private patio with views of the garden and Witches Falls National Park. House Rules Tamborine Gardens takes special requests – add in the next step! 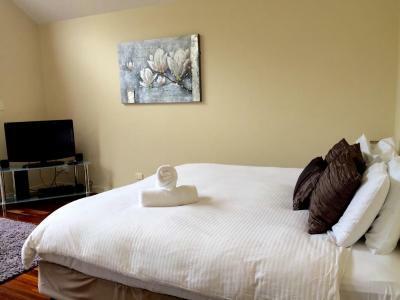 Up to two additional adults are charged AUD 50 per person per night when using existing beds. Tamborine Gardens accepts these cards and reserves the right to temporarily hold an amount prior to arrival. Please note that a 3% surcharge applies for payments with American Express and Diners Club credit cards. Please note that the property requires a $100 credit card pre-authorization at time of check-in to cover any incidental charges or damage to the property. Please note that smoking is not permitted in the cottages. If evidence of smoking is found, guests will be responsible for any additional cleaning costs, and an additional $150.00 for the removal of smoke odors. Please note that secure off-street parking is available on the gated grounds. Guests are supplied with a buzzer to open and close the Gates for entry and departure outside reception opening hours. Dead batteries in TV and DVD remotes. Nothing major. I know that water is a premium in Tamborine but having a sticker over the bath plug asking you to leave it on to show you’d not used it seemed a bit odd. We don’t have a bath at home and treat ourselves on the rare occasions we visit a place with a spa bath. Eventually felt a bit guilty so didn’t use it probably because our day jobs are as environmental scientists! Probably will mean we don’t go back even though it was a really lovely place. Plenty of space and the waves window. I thought 150-160 would be a more suitable price for the room, but did not get to explore the gardens to fully experience the surroundings. The spa bath didn't work and when you just ran the water in the bath a lot of brown flakey stuff went everywhere. Plus spider webs, dust and mould was throughout the cabin. The kitchen had a lot of implaments but no cutting board, which was strange. Plus no cover on the back balcony, so when it rained we were subjected to the just the cabin room only, which was hard and uncomfortable for my husband has he is a smoker. Did not like the fact the spa was not working , no firestarteres or kindling to get fire started , big large window above rear doors lets in to much light in the morning so we were awake by 5.30 am. The spa didn't work. There were cobwebs through the cottage, the sofa was so old and saggy and awfully dirty. The floor rug looked like it had never been cleaned properly. The floor was sticky - don't know when it was last cleaned. The door on the fireplace didn't latch closed....a potential fire hazard. The place needs some serious maintenance work. The two single beds put together as one as it moved at lot on the smooth floor. There was no plug for the spa which was disappointing as that was the main reason for booking, along with the fire. Nothing it suited our needs for the night we stayed. Great location for the area and close to everything. Very quiet and secluded, great place to unwind.